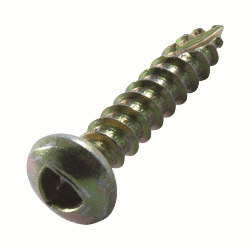 One of the most popular security screws, often used on security screens or doors and in the sign industry. Stocked in zinc plated, galvanized steel and stainless steel. Screws can be painted to order – Minimum run 1000 pieces per colour.